If one was to retrace the route of the 1901 Fossil Lake Expedition on today’s roads, this is the route one might take. 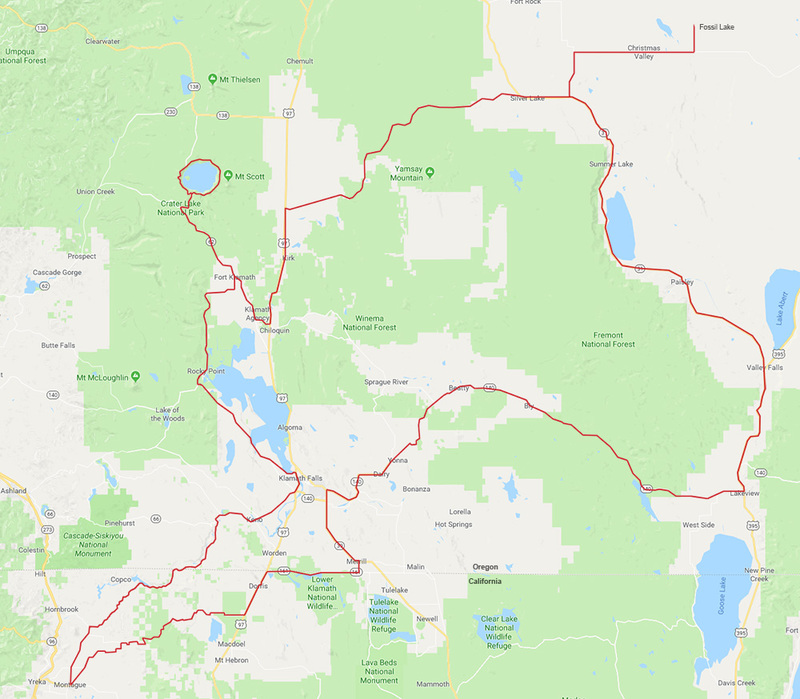 Proceeding counter-clockwise, the expedition began and ended at Montague, California (lower left); Fossil Lake is at the upper right. Adapted from Google Maps. 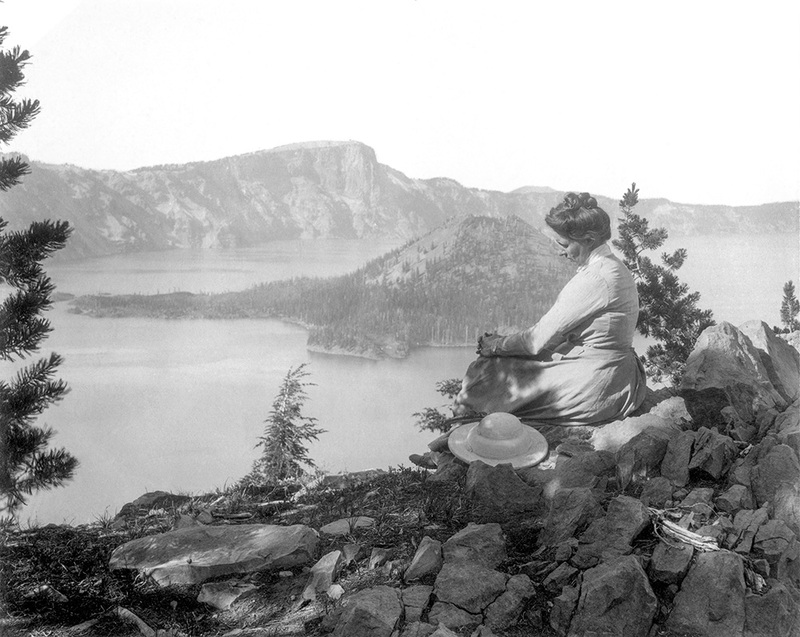 A nice photograph of Mary Wilson taken at Crater Lake. From Mary Wilson’s 1901 Fossil Lake Expedition scrapbook, UCMP archives. 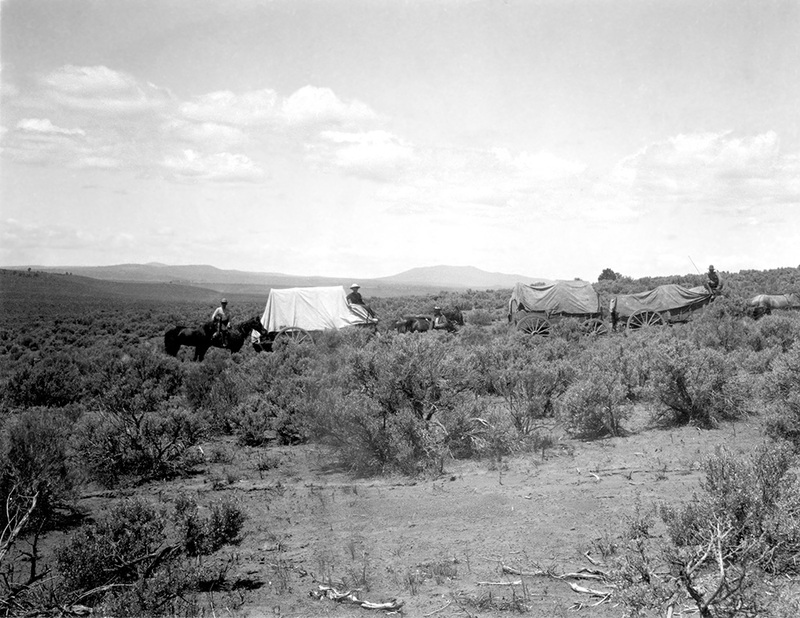 The six-person expedition left Montague, just east of Yreka, on May 30 and headed northeast. 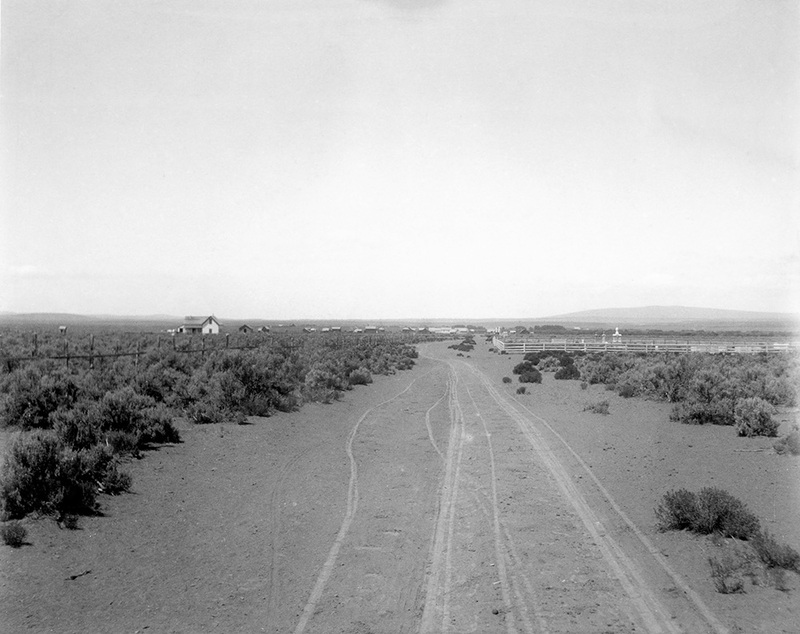 They passed near present-day Dorris on US-97 and turned east, crossing what is now the Lower Klamath National Wildlife Refuge to Merrill, Oregon. They traveled roughly north to Olene and then followed the route of present day OR-140 to Dairy. Here the group left the OR-140 route and traveled a fairly direct path to Bly, bypassing Beatty. 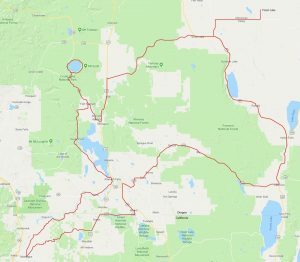 From Bly they had hoped to cross over the mountains to Summer Lake but reports of snow forced them to take a long detour east to Lakeview, again following today’s OR-140. 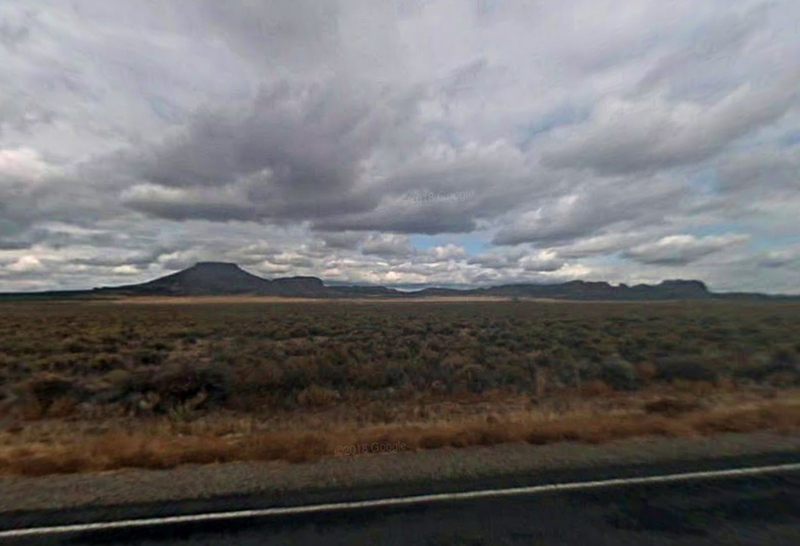 Somewhere on the road near Bly, Oregon. The expedition’s wagon is the white one. That’s Mary sitting at the front of the wagon. 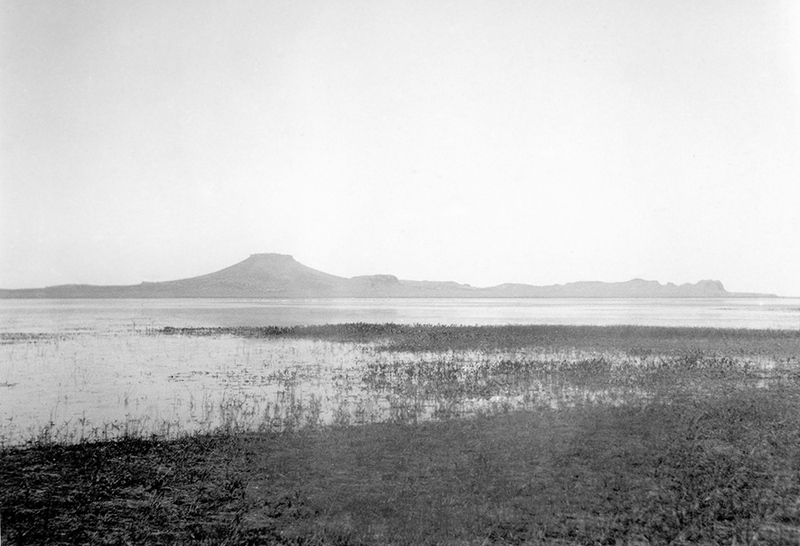 Photo from Mary Wilson’s 1901 Fossil Lake Expedition scrapbook, UCMP archives. 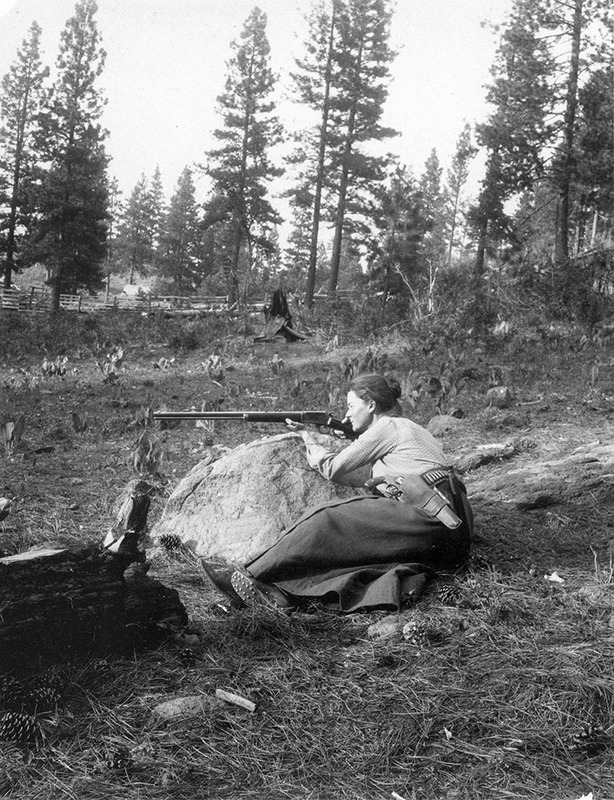 This popular image of Annie Alexander was taken somewhere between Lakeview and Paisley. 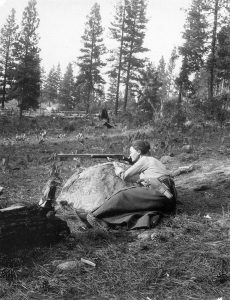 It graces the cover of Barbara Stein’s 2001 book On Her Own Terms: Annie Montague Alexander and the Rise of Science in the American West. 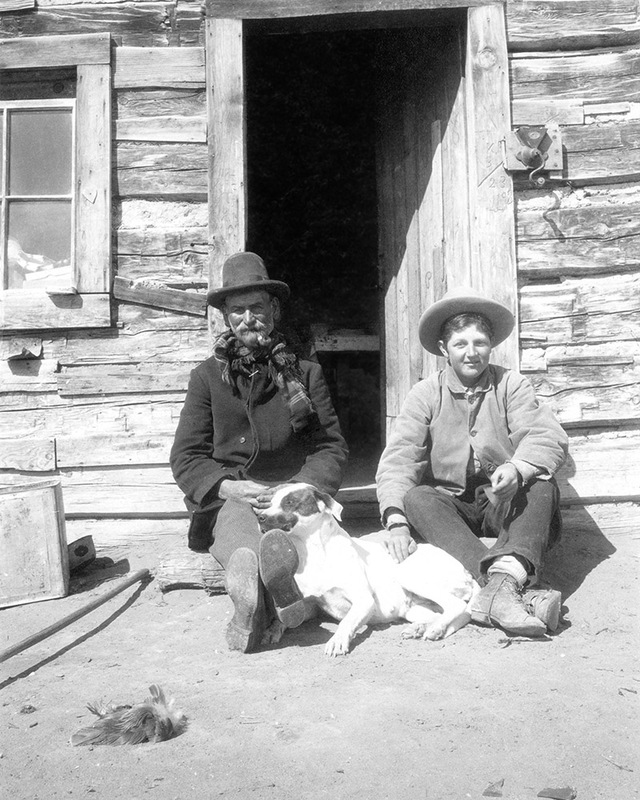 Photo from Mary Wilson’s 1901 Fossil Lake Expedition scrapbook, UCMP archives. 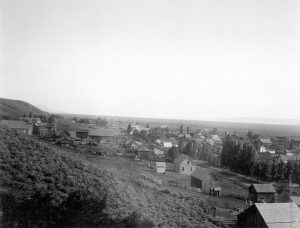 Looking south across the town of Lakeview, Oregon, in 1901, from Mary Wilson’s 1901 Fossil Lake Expedition scrapbook, UCMP archives. A view of Paisley, Oregon, in 1901, from Mary Wilson’s 1901 Fossil Lake Expedition scrapbook, UCMP archives. 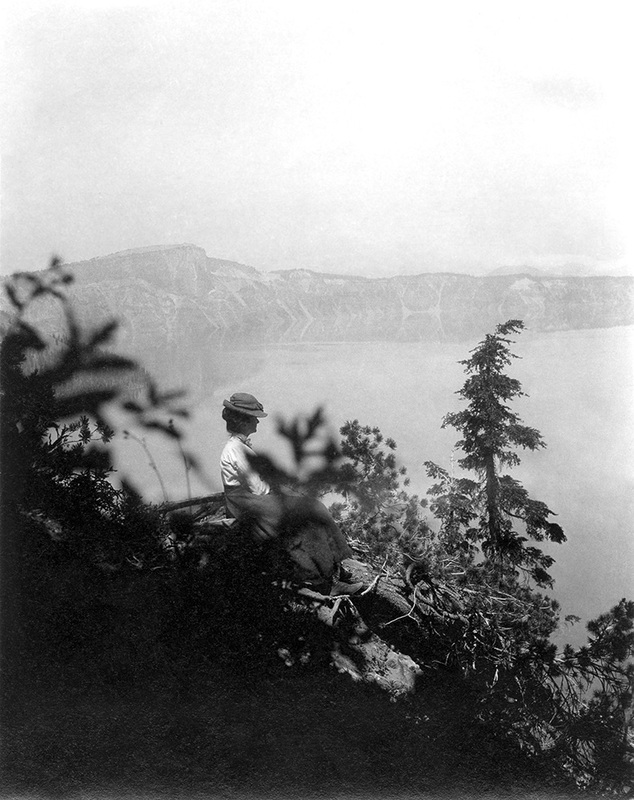 Annie Alexander admiring the beauty of Crater Lake. From Mary Wilson’s 1901 Fossil Lake Expedition scrapbook, UCMP archives. 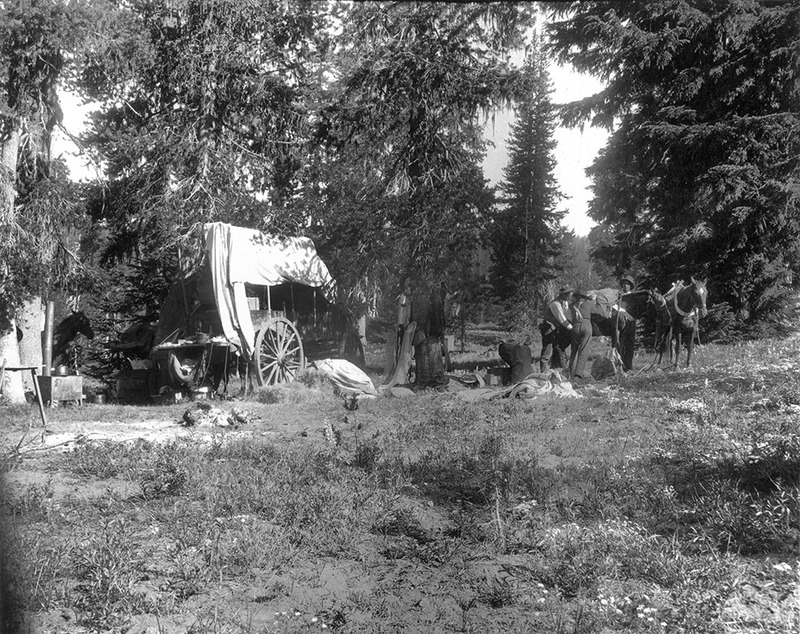 One of the expedition’s camps near Crater Lake. Greeley, Furlong and Ernest load (or unload?) 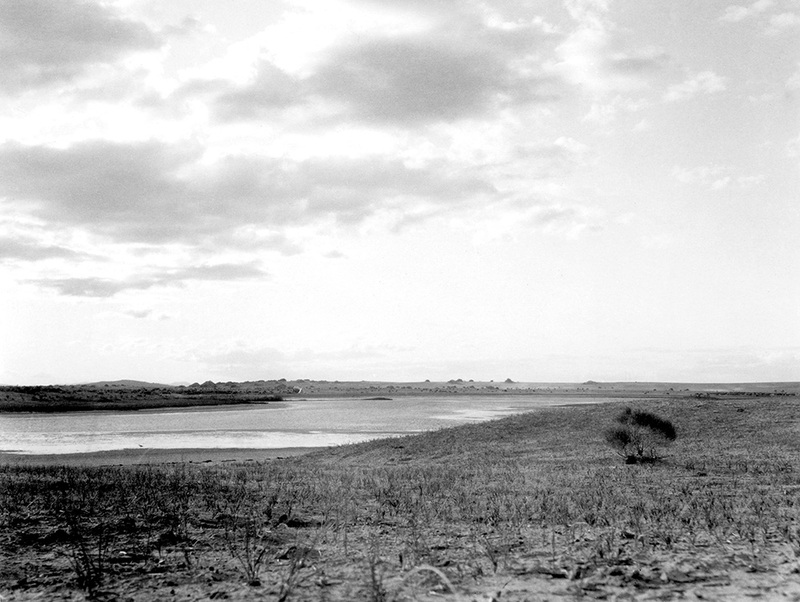 a horse at the right. From Mary Wilson’s 1901 Fossil Lake Expedition scrapbook, UCMP archives. 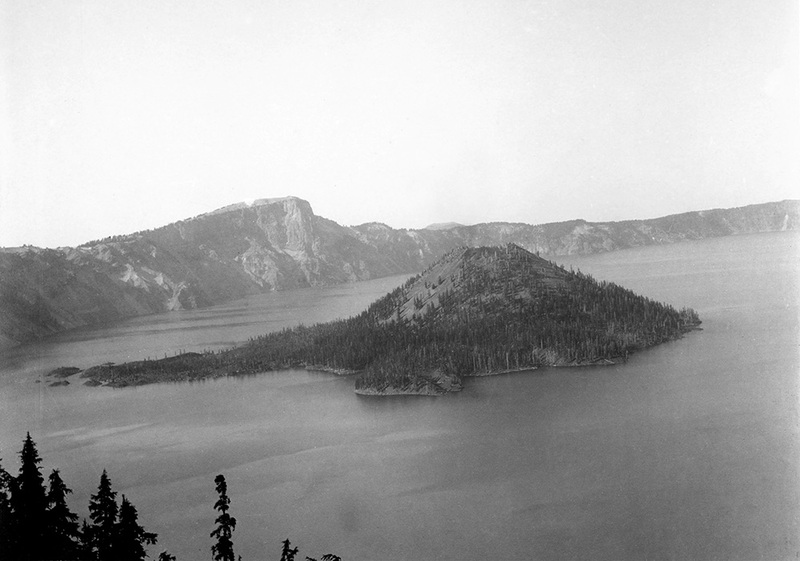 One of Annie’s photographs of Wizard Island in Crater Lake. From Mary Wilson’s 1901 Fossil Lake Expedition scrapbook, UCMP archives. 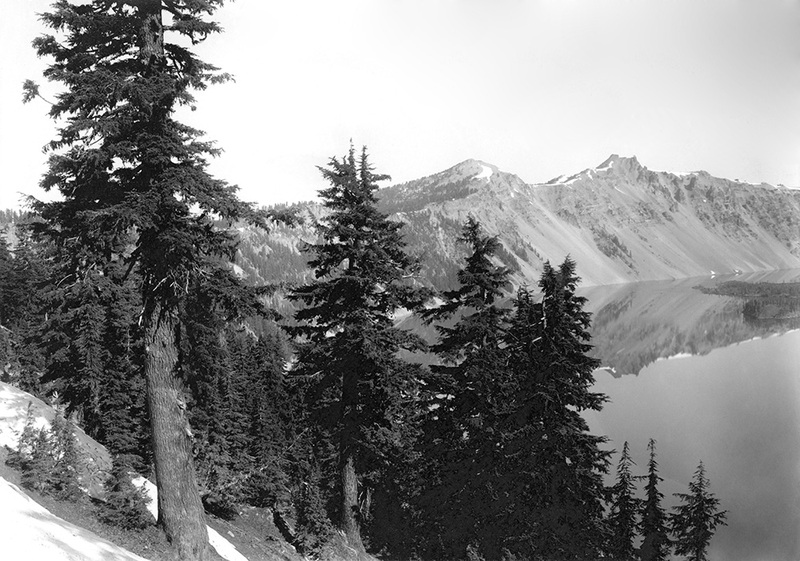 A nice crisp photograph of the rim of Crater Lake. From Mary Wilson’s 1901 Fossil Lake Expedition scrapbook, UCMP archives. In the UCMP archives, right alongside Annie Alexander’s Saurian Expedition of 1905 scrapbook, is a second scrapbook chronicling the 1901 Fossil Lake Expedition that was put together by Mary Wilson. This one contains more photographs than Annie’s but far less text. What text there is provides a day-by-day accounting of the expedition’s travels as well as some of each day’s highlights. Mary wrote few captions so one is left to make inferences about who’s who in the photographs. The scrapbook is not in great condition so in an effort to reduce the need for further handling, the text was transcribed, the photographs scanned, and a pdf document was created (see the link below). There are some unresolved questions regarding the Fossil Lake scrapbook, such as how did the scrapbook come to be at UCMP? Did Mary Wilson take the photographs? In the photographs, who’s who? After conferring with Professor Connie Soja, I have made some best guesses. Scrapbook at UCMP: In looking closely at the handwriting in the scrapbook, Connie determined that the words written across the top of the first page — “Notes by Mary E. Wilson” — were made in a different hand, that of Annie Alexander. One possibility is that the scrapbook was presented to Annie by Mary as a gift and that Annie wrote the “title” as a reminder of who put together the keepsake. If this was the case, perhaps both scrapbooks came to UCMP at the same time following Annie’s death in 1950. Photograph origins: Mary Wilson could have taken the photographs but there is no mention of her doing so or even having a camera with her on the expedition. Annie Alexander took two cameras with her on the expedition. 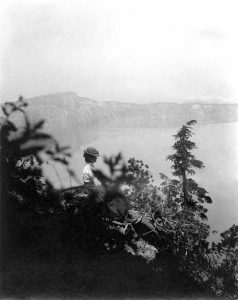 One was lost when it went over a cliff at Crater Lake, but in a letter to her friend Martha Beckwith, it is clear that she used the second camera for most of her photography. In a Fall 1901 letter to Martha Beckwith, Annie wrote “I’ll send you some of the photos I took while at Crater Lake. 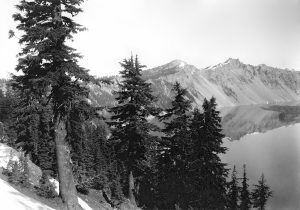 They might be a great deal better but the films I over exposed.” Many of the Crater Lake photographs in the scrapbook are overexposed so I believe that the majority, if not all, of the photographs in the scrapbook are Annie’s and that she had prints made for Mary who then used them to create the scrapbook. Who’s who: Identifying Ernest, the only African American on the expedition, was easy, but figuring out who was Greeley and who was Furlong was not. It helped to know that Greeley was 21 and Furlong was 29 at the time of the expedition. In addition, a photo of Furlong from the 1903 Blue and Gold Yearbook revealed that he had a long, straight nose and long ears. On page 11 of the pdf is a photograph of a man standing next to a Native American; the man’s nose and ears suggest that we’re looking at Herbert Furlong. A younger-looking man with an aquiline nose shows up in a few photographs and I believe this to be Greeley. I don’t think that the 14-year-old Willis is recognizable in any of the photographs. Distinguishing Annie from Mary wasn’t too hard — Mary was a bit heavier than Annie and kept her hair in a bun on top of her head; Annie’s bun was at the back of her head. Mary also had a sun hat shaped something like an inverted basin that made her easy to spot. erbert W.F. 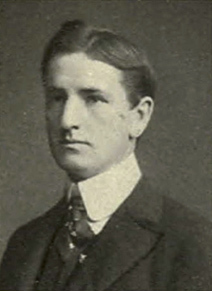 Furlong from the 1903 UC Berkeley Blue and Gold Yearbook. Note the long ears and straight nose. A zoomed-in closeup of Furlong from the photograph on page 11 of the scrapbook pdf (see link below). A zoomed-in closeup of William B. Greeley from the photograph on page 22 of the scrapbook pdf. Note the stubbier ears and aquiline nose; he also appears to be the younger of the two men. A fairly large collection of Alexander correspondence and other related documents are held in the UCMP archives. See the online finding aid. Mary Wilson was born in Helena, Montana, in September 1869 to Enoch Henry Wilson (1829-1890) and Joanna Halsted McIntire (1844-1921). She had one older brother, Arthur B. Wilson (1865-1929). Sometime prior to 1880 it appears that Enoch and Joanna divorced, with Joanna taking Mary and her brother to Oakland, California. Mary graduated from Oakland High School in 1887, then headed east to attend Smith College where she became president of her Senior Class. She graduated with a bachelor’s degree in 1892, then returned to Berkeley to earn a Master of Leadership (in Education) degree four years later. Mary taught English in San Francisco at Miss Murison’s School (probably where she was at the time of the Fossil Lake Expedition) until the 1906 earthquake, which destroyed the school. She then crossed the Bay to teach at the Anna Head School for Girls at 2538 Channing Way in Berkeley. 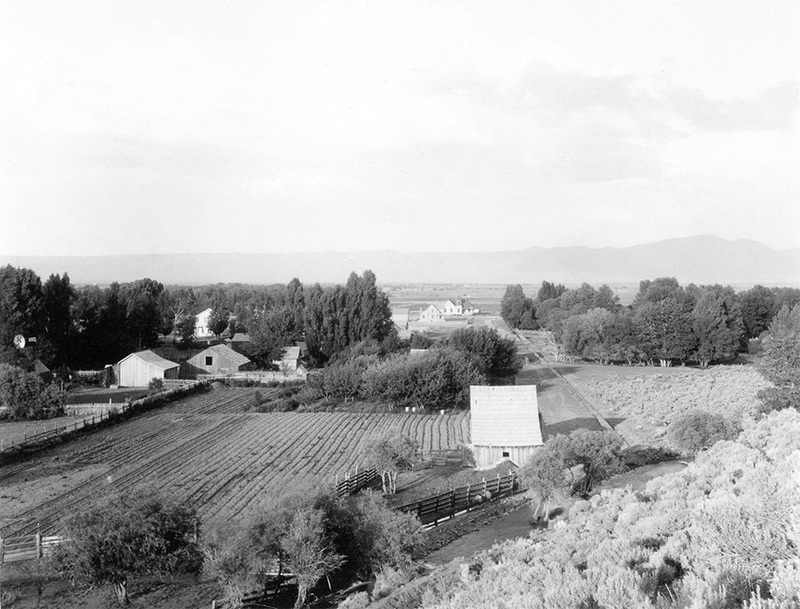 Moving to the East Bay, Mary looked after her aging mother until Joanna’s death in 1921. Mary never married. When Anna Head retired in 1909, Mary purchased the school and ran it for 29 years until her own retirement in 1938. The Head School later merged with the Royce School and became today’s Head-Royce School, now in Oakland. Herbert Furlong, older brother of Eustace, was born in San Francisco on March 14, 1872. He moved to Berkeley to attend the university and while a student, became a preparator for John C. Merriam. 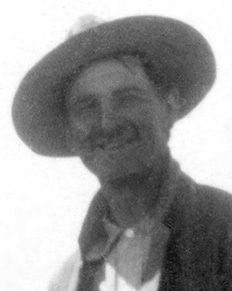 Herbert participated in at least four of Merriam’s fossil collecting expeditions: two to the John Day fossil beds of central Oregon, one to Fossil Lake in central Oregon, and one to Shasta County. Herbert graduated from UC Berkeley in 1904. In his junior and senior years at Berkeley, Herbert was a member of both the Winged Helmet, a junior honor society established at UC Berkeley in 1901, and Phi Sigma Delta. He was a member of the Artist Club and served as Secretary and Treasurer of the English Club, the latter being established in 1903. 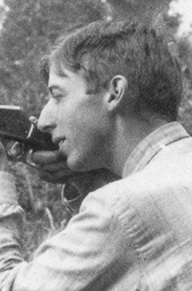 Outside of paleontology, Herbert had contact with two participants (not counting his brother Eustace) in the 1905 Saurian Expedition while at Berkeley. Malcolm Goddard overlapped with Herbert at Phi Sigma Delta in 1904. The 1903 Blue and Gold Yearbook puts Herbert on the Reception Committee for the Junior Promenade (November 29, 1901) along with Edna Wemple. A year after graduating, Herbert married Martha Bowen Rice (1881-1974) and they were to have two children, Houghton Field Furlong (1907-1979) and Marjorie Jane Furlong (1908-1983). William Greeley was born on September 6, 1879, in Oswego, New York. Not a lot is known about him. He was living with his family at 1701 Euclid Avenue in Berkeley while he was a student at the university. After college he got into forestry and lumber. William served in the U.S. Army during WW I, achieving the rank of Lieutenant Colonel. Sadly, there is no information about the camp cook and wagon driver Ernest, nor the boy Willis, not even their last names. Barbara Stein, On Her Own Terms: Annie Montague Alexander and the Rise of Science in the American West, University of California Press, 2001, p. 17. Beckwith’s responsibility for Annie’s interest in geology and paleontology. The Bancroft Library, University of California Berkeley; BANC MSS 73/25c, Box 5. Merriam’s original trip suggestions from a Spring (probably early April) 1901 letter from Annie to Martha Beckwith. Merriam’s later Fossil Lake plan from a May 2, 1901, letter from Annie to Martha. Ibid. Greeley and Furlong’s participation, Mary Wilson’s invitation from a May 2, 1901, letter from Annie to Martha Beckwith. Ernest mentioned in a June 10, 1901, letter from Annie to Martha. Ibid. Furlong’s preparations from a May 2, 1901 letter from Annie to Martha Beckwith. Willis’s participation from a June 10, 1901 letter from Annie to Martha. Ibid. Duncan’s assistance from a July 7, 1901, letter from Annie to Martha. Ibid. 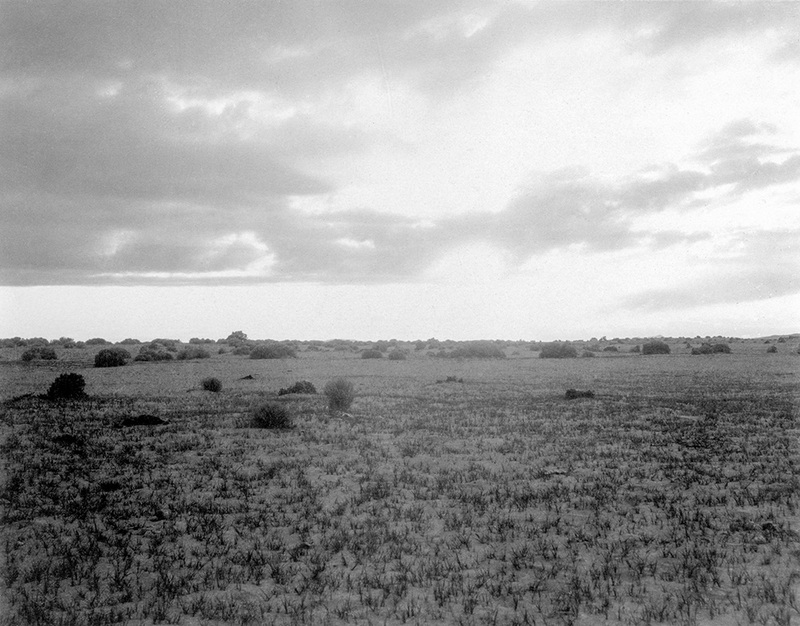 Annie’s loss of her camera from a July 26, 1901, letter from Annie to Martha Beckwith. From resources accessed through ancestry.com. Quote from Modern Research Society, The Current Encyclopedia: A Monthly Record of Human Progress, Vol. 2. Current Encyclopedia Company, Chicago, 1902, p. 875. From resources accessed through ancestry.com.